Recovery Week: Adventures in Western Mass. Last week for me was a recovery week (sort of). I built in a few rest/step back weeks into the long run plan I made up because whenever I’m adding miles, I like to have a few weeks here and there that I get a break. And, last week was a perfect time for this because Jeff had some time off work and we went adventuring out in Western Mass. It wasn’t a true recovery week though, because I squeezed in some speed work before we left. I just decided last weekend to add speed work into my training plan, and I didn’t want to quit that before I even started. So Monday morning I did a tempo run, then Tuesday an easy run before we left on our adventure. While out in Western Mass. I didn’t do any running, but there was still a lot (in my opinion) of activity. (Cross-training, woo!). On Tuesday we visited Historic Deerfield Village, the Yankee Candle Store/Village, and the Bridge of Flower in Sherbourne Falls. Historic Deerfield is a section of Main Street that has several old homes from the 1700s preserved and furnished as they would have been back in the day. It was interesting to see, and we learned a few fun facts (this area is good for growing broom corn, adults with tuberculosis used to be kept in adult cradles to make them easier to care for, and people would put beds in pretty much any room of the house – kitchen included). Photo of Stebbins House from Historic Deerfield Website. Click photo to visit website. 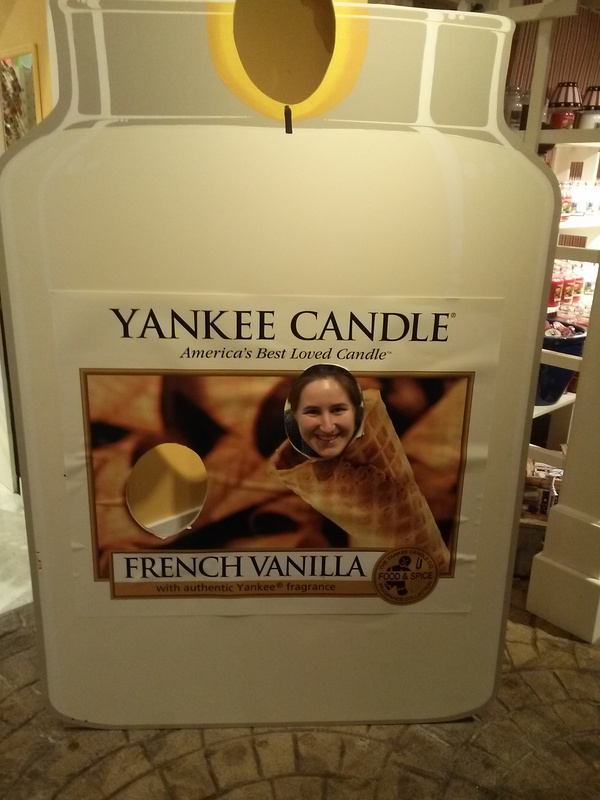 After Historic Deerfield, we went to the Yankee Candle Village store. This place was HUGE! There were tons of candles (obviously), but also a lot of other stuff. They have a whole Christmas section w/ decorations and ornaments, and a room where it SNOWS EVERY 4 MINUTES! And they also have housewares, and toys, and make your own candles. Just a lot of stuff, really. 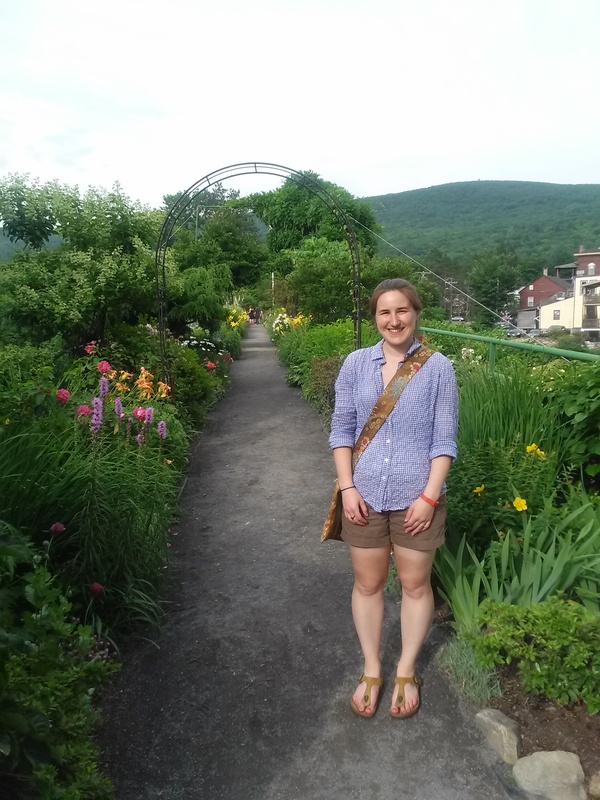 After candle world, we stopped in Shelbourne Falls to see the Bridge of Flowers before heading to our hotel. It’s an old (out of use) train bridge that is landscaped every year to be covered in plants and flowers. I hear there’s a 5k/10k, but it doesn’t actually go over the Bridge because it’s too narrow. I’m not sure I’d add this to my race bucket list, but the area is nice enough to make it worth a short trip. There should be more bridges like this. From the Bridge of Flowers, we picked up some food for dinner and headed to our hotel. We had a pretty low key night and got to bed early because we needed to be up early again on Wednesday morning for more fun! On Wednesday we went zip lining in the morning and kayaking on the Deerfield river in the afternoon. Both were super fun and we ended up being the only two people on both tours! I’ve never kayaked anywhere with a current/”rapids” before this and I really liked it. I enjoyed just floating down the river on the gentle parts and when I wasn’t worried about hitting a rock and falling in, the rapids were fun, too. After cleaning up from those two activities, we went out for dinner and then ice-cream before heading back for another early night. We wanted to be well rested for another early morning of adventuring. Thursday morning we hiked a trail at the Western Summit of the Hoosac range. It was a beautiful day, and once I stopped freaking out about being in close contact with so much nature, it was pretty nice. We hiked up to Spruce Hill, which really wasn’t much of anything. There wasn’t even a view, so it was pretty anticlimactic. Luckily there were a few other spots to check out the view because I would have been pretty annoyed; I mean, isn’t the view a big part of why you hike up a mountain? 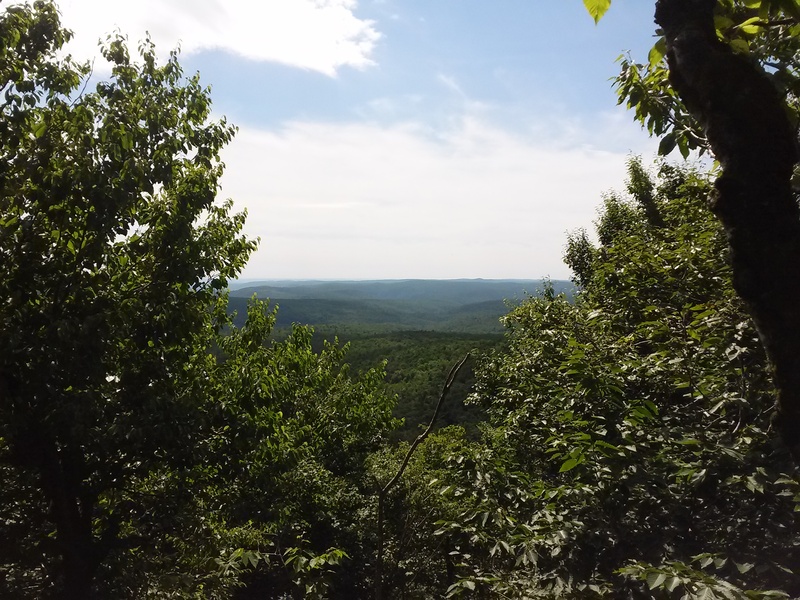 From a Vista that was not at the top of so called Spruce Hill. The hike ended up being 5.5 miles and taking us 3 hours round trip. It was a pretty good workout and I’m glad the weather cooperated, and that for the most part any bugs left us alone. I don’t think we would have completed the whole hike otherwise. After our hike, instead of heading directly home we stopped over in Connecticut for some casino gambling. Although we didn’t win big (someday! ), we didn’t bankrupt ourselves either, and we had a lot of fun. I can’t really explain why I think the casino is fun, even when I don’t win, but it was. And after a few days being all outdoorsy, it was a nice change of pace. By the time we got home on Friday, I was tuckered out. It was a pretty active week, even with 3 days in a row of no running! For the most part, I usually am pretty good about running on trips, and have done a few running tours that were super fun parts of vacation, but on this little adventure, it made more sense to enjoy some other activities. So that’s what I did. Do you run on vacation? Do you feel guilty if you don’t? What if you’re doing a lot of other physical activities? Sounds like a lovely weekend! I went to Deerfield when I was younger and remember thinking it was pretty cool (especially Yankee Candle), but it’s been too long and I’d love to go back. Western Mass is a place I’ve never spent much time in, and I think that needs to change. As for vacation running, I normally run when I visit my mom, and I find that easier than running on more vacationy trips. Last year, I was training for a marathon and really wanted to incorporate some running when we were travelling so we did a few city running tours and it was a blast! As long as it’s part of the fun of the trip, I’m on board. The hotel treadmill however, rarely catches my attention. Not that I get to go on vacation all the much or like ever, but the last time I went away I definitely ran! And I would probably feel totally guilty if I didn’t. 🙂 Great pics and I’m glad you had such a lovely weekend! For a long time I would back all this running gear and NEVER run, but the last few times I’ve gone away I’ve planned ahead and running was really a fun part of vacation. I think I didn’t feel guilty not running last week while I was away because I wasn’t gone long and hadn’t planned on it. Sounds like a fun weekend! I love candles and would have probably would have spent too much money in “candle world”. Now that I am training and going on vacation next week I do have my runs planned out. If I wasn’t training, I’d pack my stuff and fit it in if I could. Usually there is so much going on when we go away that I’d feel a little guilty, but it wouldn’t ruin my trip or anything. Yeah, I wanted about 20 different scents, but that would have been a bit out of our budget. To compromise we got two big ones and each of us picked out 6 little ones to try.